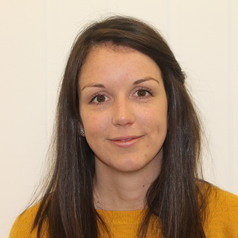 Karen is a research fellow within the Tobacco Control Research Group at the University of Bath. Karen joined the Tobacco Control Research Group as a PhD student in 2008. Prior to starting her PhD, Karen worked as a data analyst at Swansea University. She has a Bachelor degree in Psychology and a MSc in Health Psychology from the University of Bath. Karen’s research focuses on the behaviour of the tobacco industry and its affiliates, particularly in response to regulatory threat. As well as publishing her research findings in peer-reviewed journals, Karen is a senior editor of www.TobaccoTactics.org, which provides up-to-date research information on tobacco industry linked people and organisations and the tactics they use to influence public health policies. Her most recent work has focused on Tobacco Companies’ use of evidence in their submissions to the 2012 UK Consultation on plain packaging for tobacco products and their extensive use of the third-party technique in an attempt to thwart the policy.